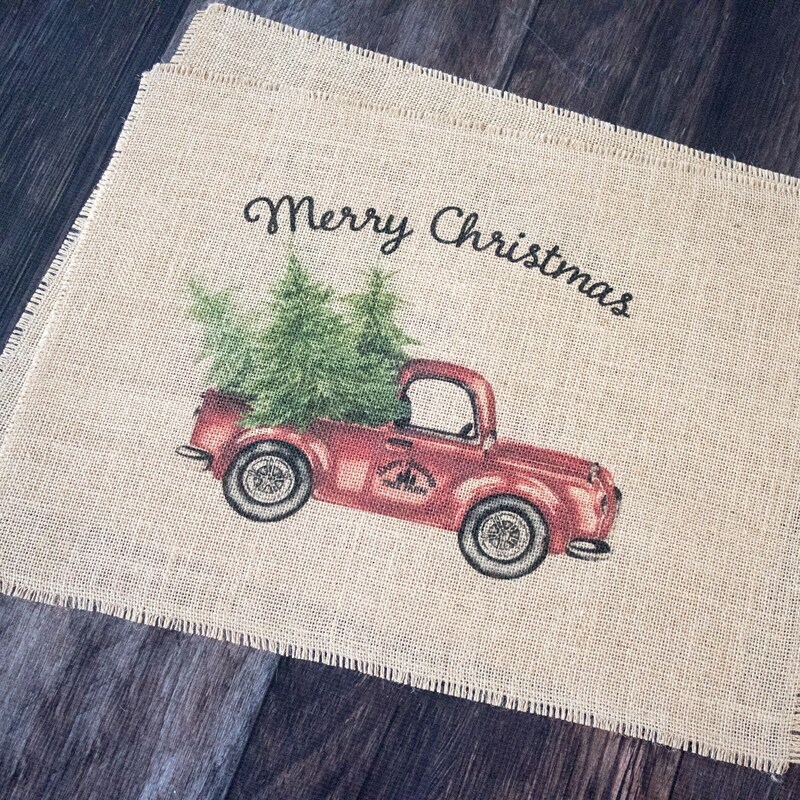 This vintage red truck has arrived with it's bed full of Christmas trees from the Happy Holidays Christmas Tree Farm!! 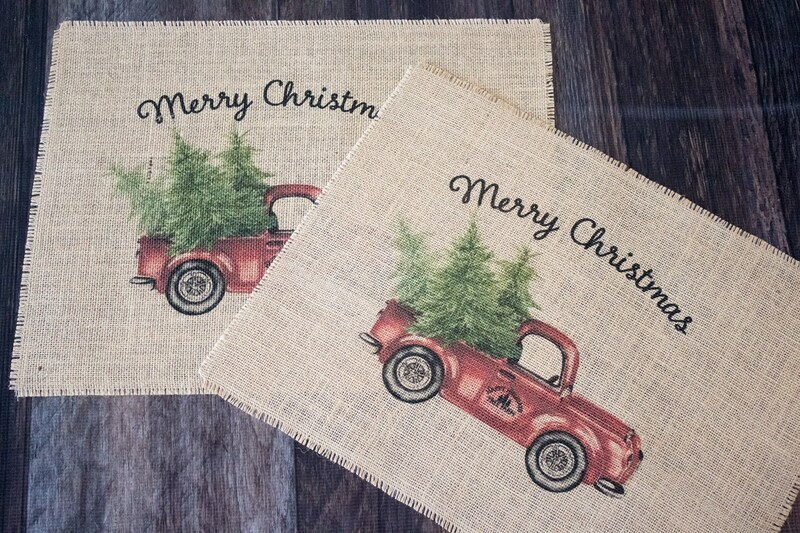 This truck full of farmhouse charm wish you and your guest a Merry Christmas for many years to come. 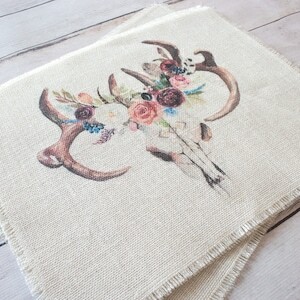 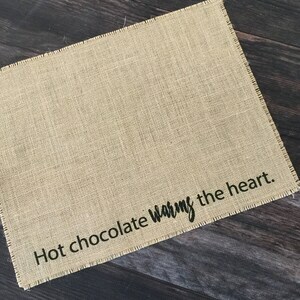 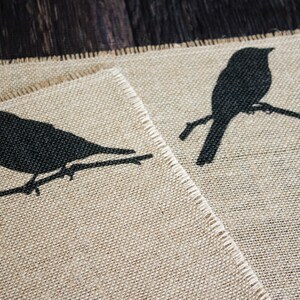 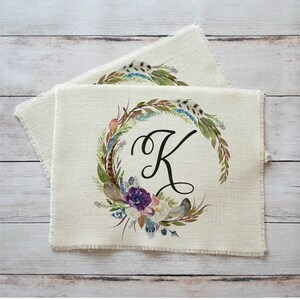 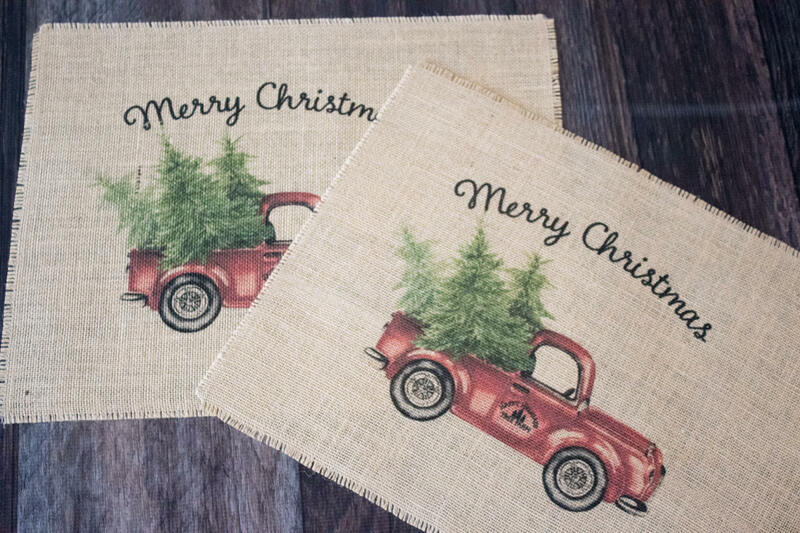 Host your holiday dinner or gift them, these delightful burlap placemats will fit perfectly in rustic style farmhouse decor.